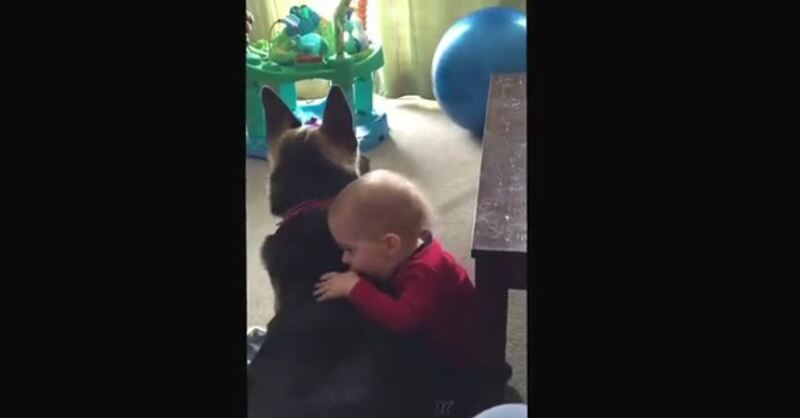 An adorable moment was captured between a German Shepherd and a baby while they watch some TV together. So cute! Credit to ‘Jamon9’.